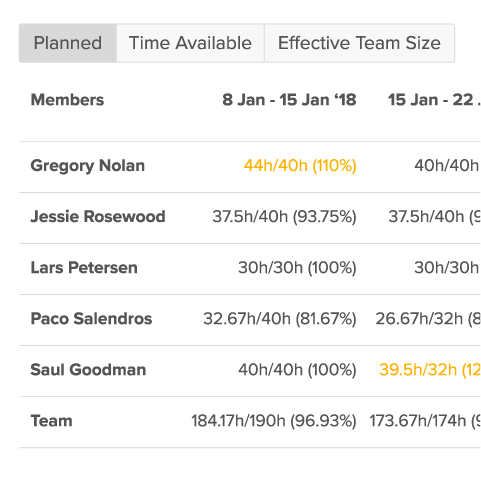 A simple tool to streamline the management of teams and resources – quickly find available team members and maximize your resource utilization with Jira resource management software. Access an overview of all resources in your organisation with Tempo's Jira resource management software. 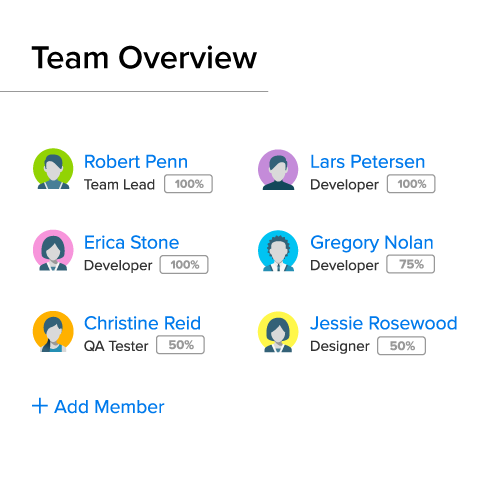 Use filters to find team members based on teams, users or roles. 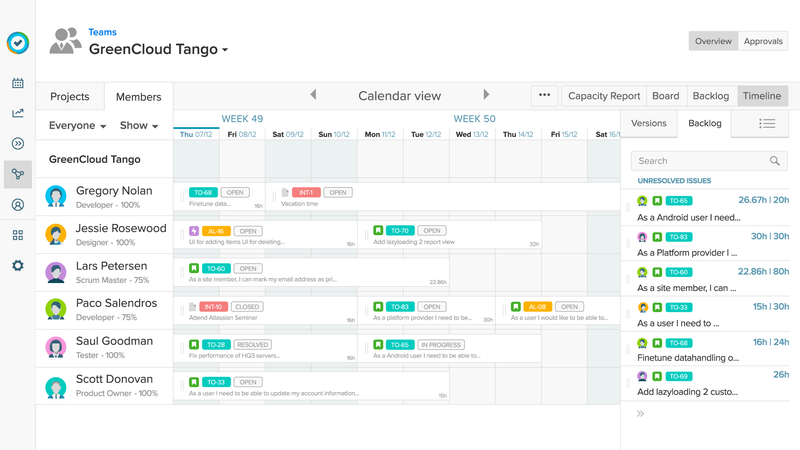 Quickly plan and approve work or request time from other teams. 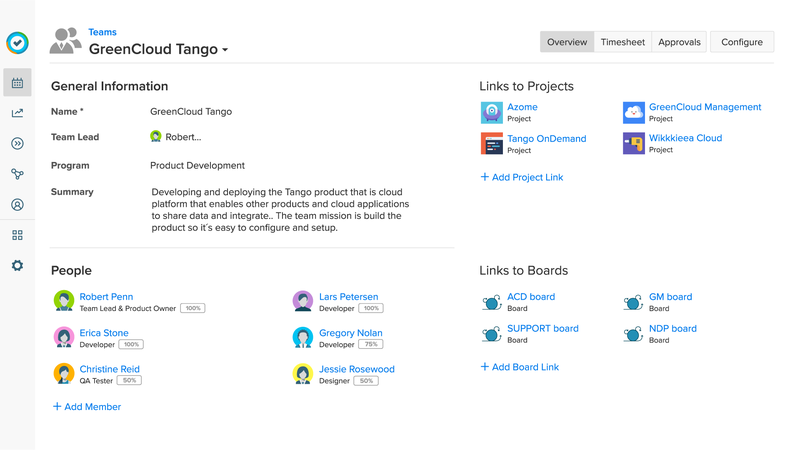 Assign users to teams with different roles and availabilities with Tempo's Jira resource management software. Link Jira boards and projects to teams to define their backlog. Grant permissions to individual users or groups, as well as apply custom work and holiday schedules. The capacity report details the allocation and availability of each team member. 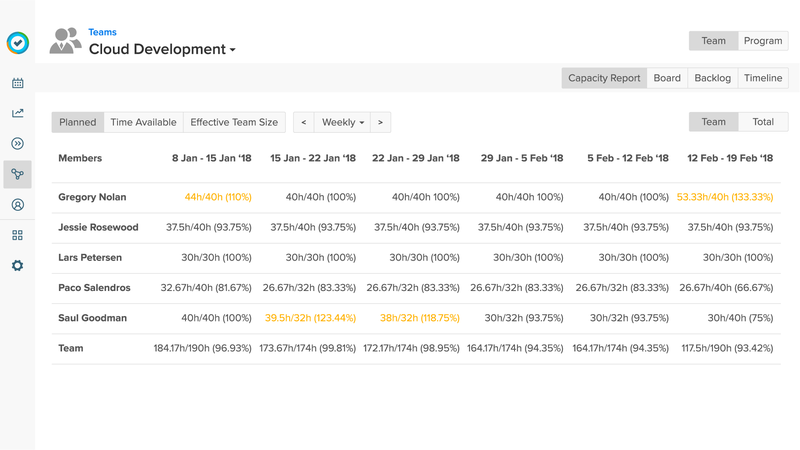 Make sure you’re fully utilizing your organizational resources with Tempo's Jira capacity planning tool. 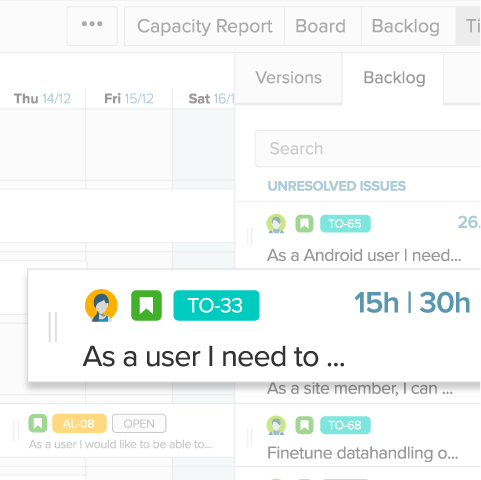 Access a timeline with your team on one side and their backlog on the other. With Tempo's Jira resource management software, planning work for your teams is as easy dragging and dropping issues onto the timeline. Relation1 uses Tempo Planner for resource and capacity planning to gain visibility into their resources. Discover how Mehrwert uses Tempo Planner for resource planning and managing team capacity. How Mazda uses Tempo Planner and Tempo Timesheets to overcome challenges in reporting and resource visibility. Discover how YOUWE has built their business around Tempo Timesheets and Tempo Planner.